It seems as though the weeks have just been flying by here. 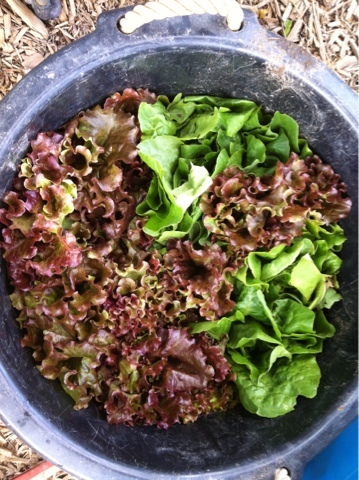 The crops are looking great and we had another nice CSA basket going out this week. 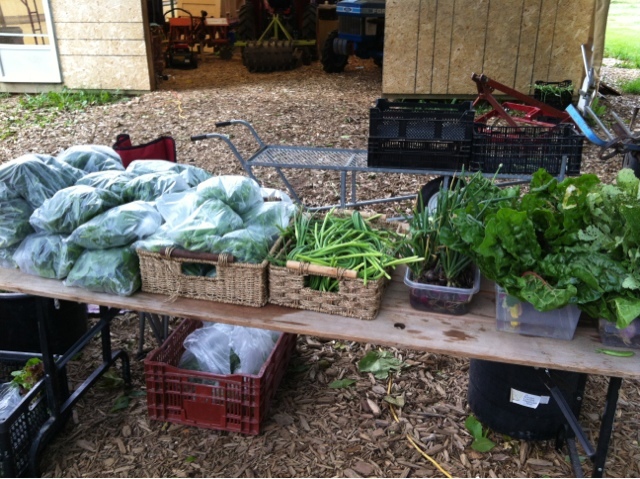 There were two new additions to the basket this week, peas and scapes. Everyone seemed pretty excited to get the peas. 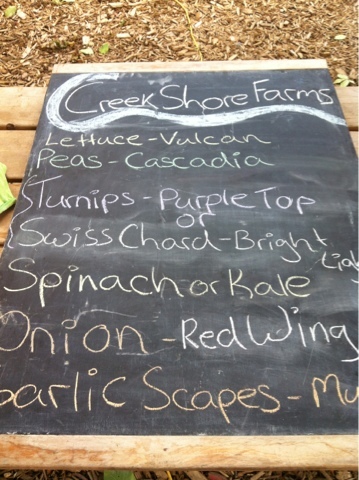 The taste of summer as one CSA person put it. If you have never had scapes they are what would be the flower of the garlic plant. They are removed before blooming to encourage bulb growth. They have the same flavour a garlic but are more mild. If you are not part of our CSA watch your local farmers market for there appearance. They usually come in bunches and are long and green.